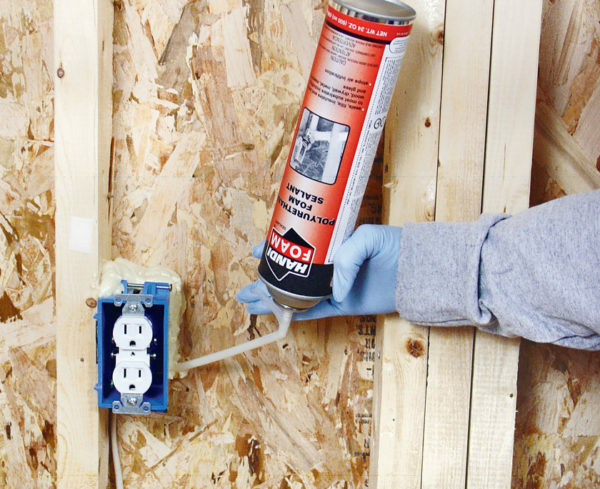 HandiFoam® low-pressure, one-component, polyurethane foam sealant is a moisture-cured, multipurpose sealant designed to seal and fill small cracks and voids, creating a tight barrier against noise, moisture and air infiltration. HandiFoam® Sealant is UL GREENGUARD Gold Certified, contributing to healthier indoor environments. HandiFoam® Sealants are available in a variety of sizes and can be dispensed with a straw applicator or a Handi-Tool® Dispensing Unit.